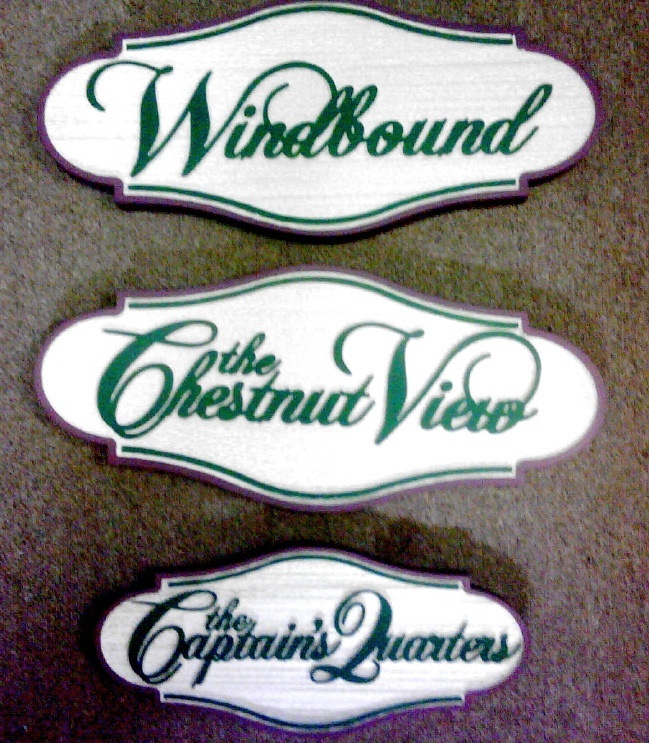 These carved and sandblasted HDU room name signs for the historic Wells House B&B have raised script text and a sandblasted wood grain background.. The room name signs are mounted on a wall adjacent to the room door. After artist painting, the sign is clear-coated twice for additional weather and UV protection.